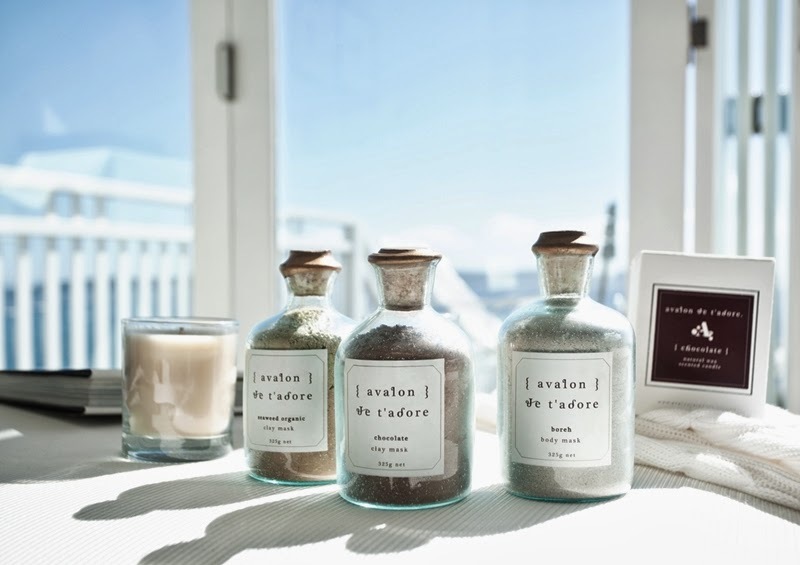 Just as the frenzied Christmas rush was setting in recently, I received an email from Jordana Macfarlaine, owner and creative director of Avalon Je T'adore, a new lifestyle brand inspired by the tropical lifestyle of Bali. Feeling a little strung out and in desperate need of a holiday (like most at this time of year) Jordana's story, products and dreamy imagery had me pining for an island escape. Can you tell us a bit about your background and what led to the launch of Avalon Je T’adore? From working in the fashion industry for 10 years I had a passion for design. I was fortunate enough to travel a lot as well. 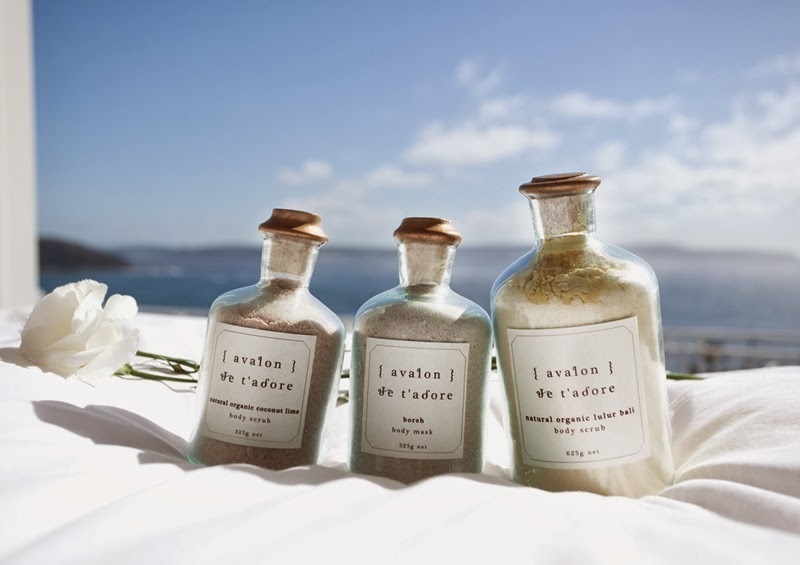 It was on a trip to Bali that I stumbled on the idea of launching Avalon Je T'adore. Being able to bring awareness to recycling was a great incentive to produce the products here. What is special about the packaging? The organic scrubs are bottled in recycled glass, hand blown bottles. So each one is individual. 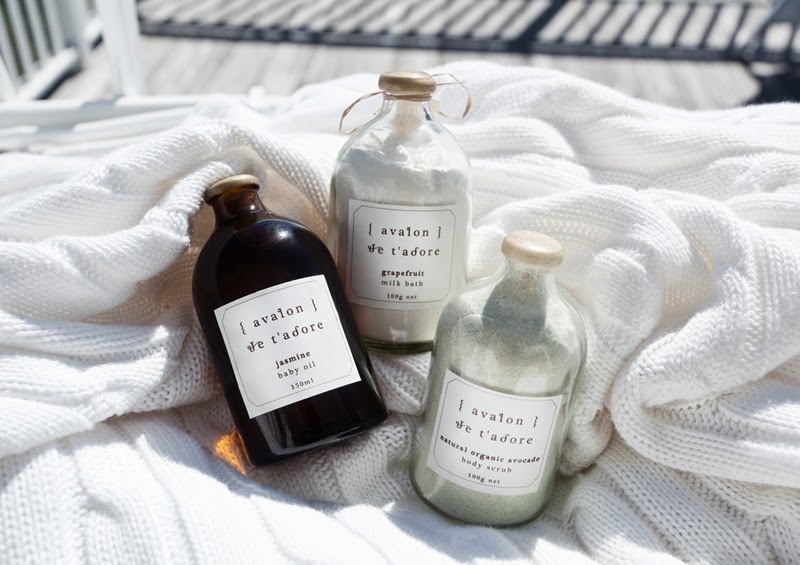 I recycled the glass from restaurants here in Bali, and we melt them down and create the Avalon Je T'adore bottle. It allows me to encourage recycling in Bali. My customers also get to keep them once they have finished with the beautiful scrubs, and re use as a vase or decorative item in their home. What is your favourite Avalon Je T’adore beauty product and why? My favourite Avalon Je T'adore product is the Sandalwood Scrub! I just love it. It is so soft and has my favourite scent. I use it all over my body and my face and I feel so fresh and revitalised. It's my morning ritual. Are you planning on expanding the beauty range and if so, what can we expect? I am planning on expanding the range. I am working on developing a natural range including facial cleanser, toner, moisturiser and some delicious body butters and more! I'm very excited and will be launching these products in early 2014! How does your event service work? In the past I have made bomboniere as wedding favours for the guests. These can be done using any of the Avalon Je T'adore products, and we work with the guests and a special price list. They can be made up in different boxes, with notes from the bride and groom. There are several options, as they can also be used for other events as part of gift bags, and we like to work with the clients for different projects. You've recently expanded into lifestyle products. Tell us about the new range. The brand was always born to be a lifestyle brand. 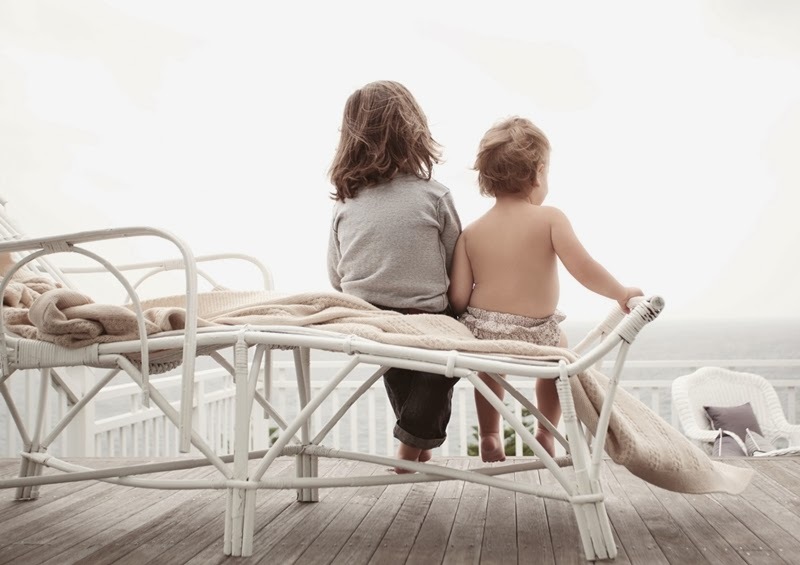 All things for you and your home. 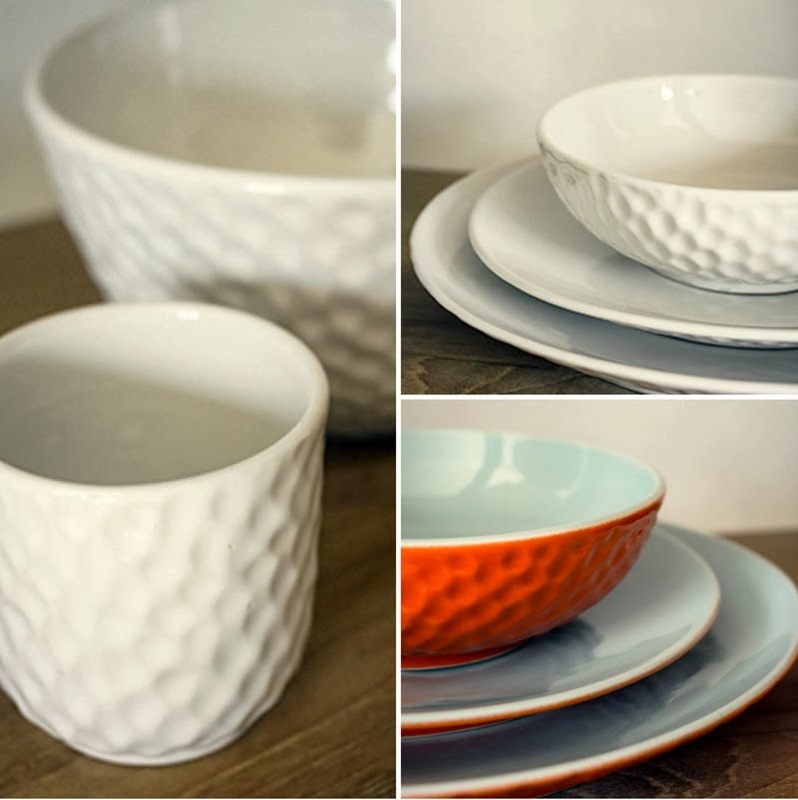 So I have recently developed a range of ceramics and leather products. 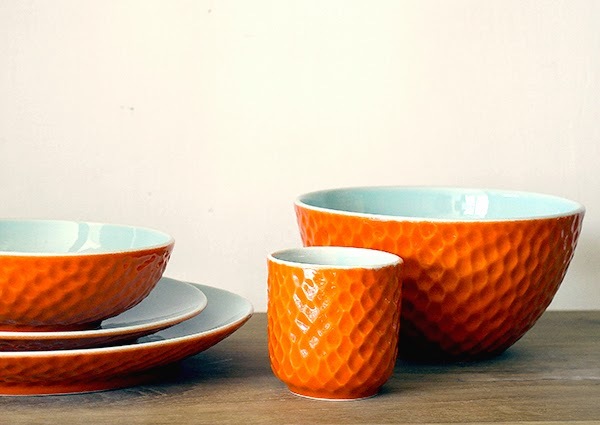 The ceramics are all hand made, and are individual pieces. The leather range consists of a clutch and wallet for every occasion. I plan to keep expanding the lifestyle range with more homewards and fashion pieces in the future. You are currently stocked in Australia and Asia. Any plans to expand further afield? Yes, I am working on expanding the range to Europe, specifically Sweden and Denmark. There are also plans for the range to go to the US and England in early 2014. So it's very exciting. Beautiful! Thanks Jordana for answering these questions for us. To find out more, visit the Avalon Je T'adore website and follow on Facebook.